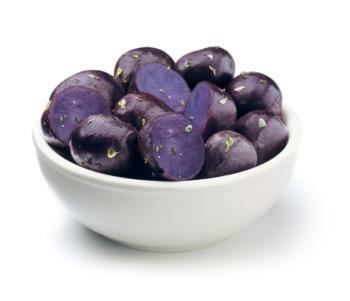 Small, oblong purple skinned potatoes with a purple flesh give your dishes great gourmet flair. These delicious little potatoes come in convenient 1.5 lb. packages that feed a family of four perfectly. Recipes on the back of the package give you great ideas to try these little potatoes, and once tried, you will be hooked!